Here’s a Juvenile Justice Guide to help our LEAF families dealing with youth legal issues. The Juvenile Justice system is similar to the adult system, but different enough to warrant its own courts, procedures and professionals. 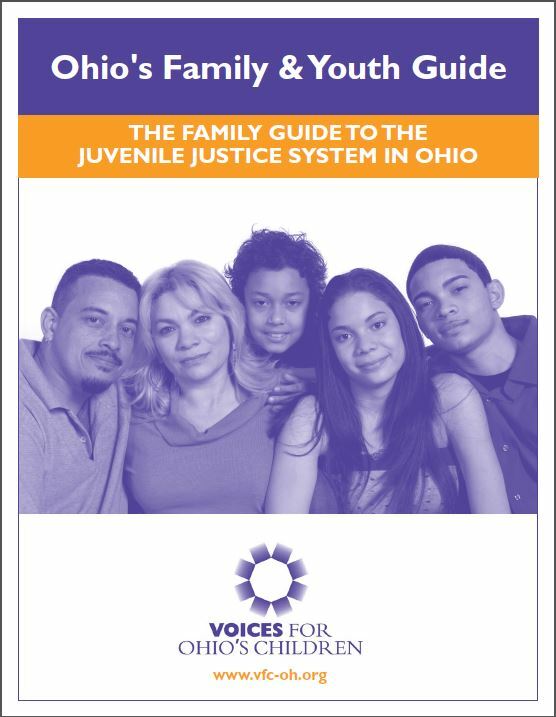 The folks at Voices for Ohio’s Children produced a great resource entitled simply enough: “The Family Guide to the Juvenile Justice System”. It was produced in 2008, but I’m sure much of the basic case flow is still the same today. The guide has been added to the “First Days” tab our website. Families of children in Ohio’s Juvenile Justice System need information to help navigate the system and try to assure the best outcomes possible. Because you know your children better than anyone, you are in the best position to advocate for your child in the system. This handbook will give you more tools to do that – it will help you understand the system and how to get answers. The guide methodically walks the reader through the steps from intake to release. It’s a good read! Beyond this guide, the Voices for Ohio’s Children website is full of lots of helpful information covering State and Federal policy legislation, advocacy, webinars and budget/legislative analysis. If you’re struggling with the juvenile justice system or feel compelled to advocate on behalf of struggling families, this site is a good place to start.